Every year, we pay rich tributes to several generations of men, women and even children, who rebelled against the tyrannical British rule and gave their all for the cause of freedom. This is not the case for Shivnath Jha. His idea of paying a tribute does not include posting quotes, garlanding photos or making a biopic about the martyrs. He wants to ensure that their struggles do not go in vain even decades after India became independent. So, Jha, who is journalist by profession, is tracking down the descendants of freedom fighters all across India and ensuring that they live a dignified happy life. Jha was born into an economically backward family. 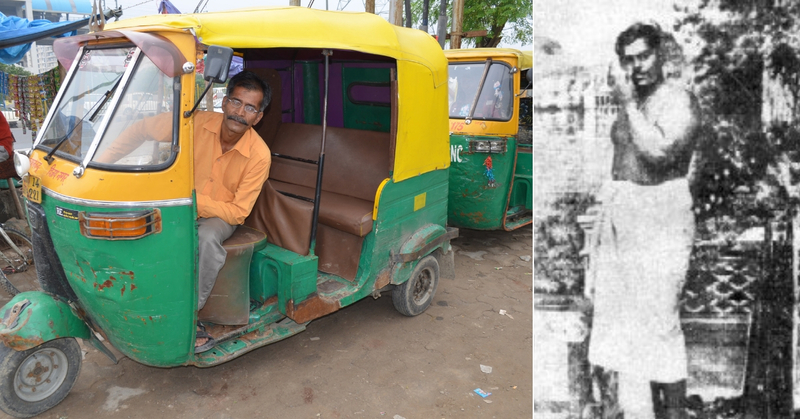 He started distributing newspapers at the tender age of 8 because he wanted to study in a prestigious and expensive school. His father worked in a publishing agency and earned just Rs 45 every month. But Jha strived to study and work hard, and eventually decided to become a journalist. 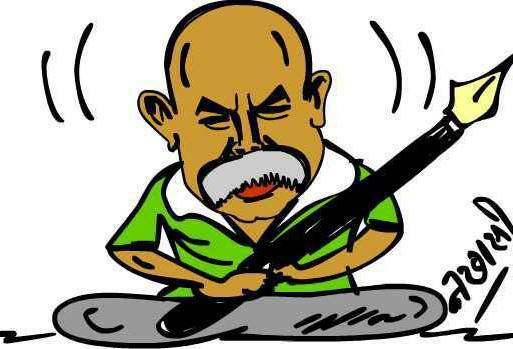 Over 35 years of working in various news organisations including The Telegraph, The Indian Express, The Statesman, and Asian Age got him well-connected with the masses. Somewhere along the way, he started his unique initiative—tracing the bloodlines of forgotten freedom fighters and giving their descendants a dignified life. A history buff, Jha who has high regards for the struggle that revolutionaries endured, is saddened by the limited knowledge that school students have about Indian history. 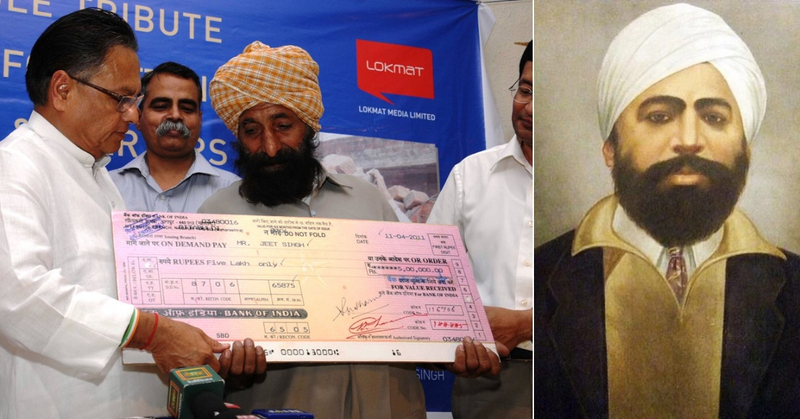 Tatya Tope’s name is forever carved in the Indian independence struggle. He bravely fought against the British and had once helped Rani Laxmibai escape an attack. 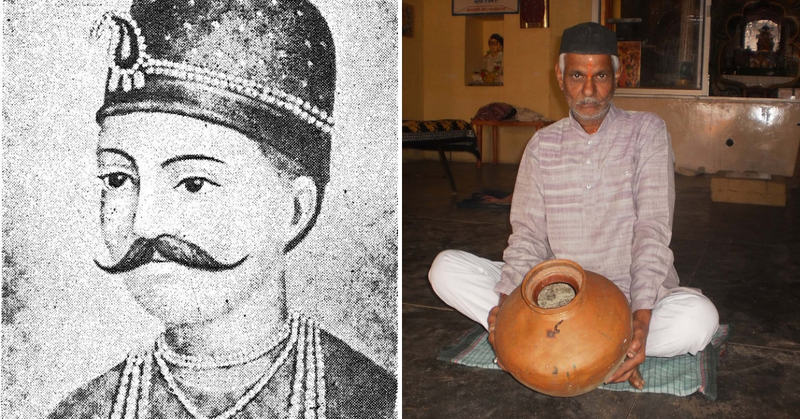 However, his great-grandson, Vinayak Rao Tope, lives a life less than ordinary in Bithur, a town in Kanpur. “The family owns a tiny grocery shop, measuring 6ft x 8ft, and sometimes they earn a few extra rupees when Vinayak performs religious rituals in the neighbourhood. His children, Pragati, Tripti and Ashutosh, were unemployed although all three of them had completed their graduation,” says Jha while remembering the situation when he first discovered them in 2007. Chandrashekhar Azad who was Bhagat Singh’s ally and a brave revolutionary is also fondly remembered till today. 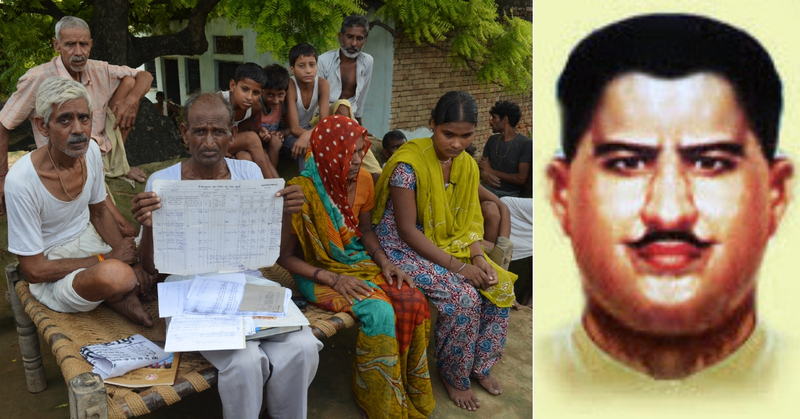 Through his efforts, Jha was able to trace Ganesh Mishra, a descendant of Azad from his mother’s family. Ganesh is an auto-driver, and Jha is saddened by the fact that he is not granted the dignity of being related to the freedom fighter. Udham Singh was Punjabi revolutionary, who is known for assassinating Michael O’ Dwyer and avenging the Jallianwala Bagh Massacre. His grandson, Jeet Singh, is well over 60 years today. He used to work as a labourer at a construction site in Punjab, and when Jha tracked him down, he was severely debt-ridden and working as much as possible to provide for his family. Jha raised a sum of Rs 11 lakh for Singh and arranged for interviews with the family. This amount paid off all their debts but Jagga, Jeet’s son still seeks the security of a government job. Jha claimed that since he started his journey in 2002, he has helped over 70 families. How he does it is a story in itself. It is evident that the research and the journeys cost a lot, but Jha is helped along by his friends and family. “Some give me Rs 50, some Rs 5000. I also borrow money from my wife, Neena who is a teacher. That funds my work,” he says. Providing financial help to the families of the descendants is another matter altogether. “To fund the families, I approach businesses, media organisations and philanthropists who work for the cause. I am writing a book to commemorate the martyrs of the Jallianwalla Bagh massacre, and I request businesses to fund at least one page. The funds that remain from that sum, will go towards the cause,” says Jha.